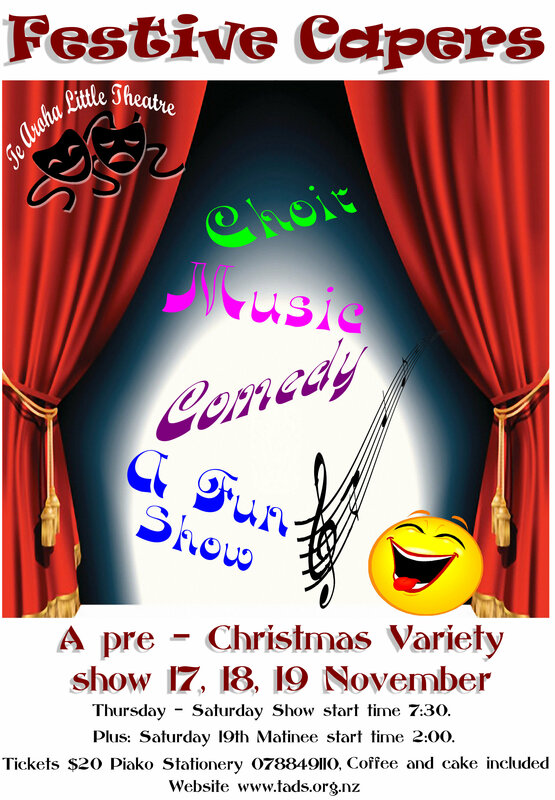 A full variety show of carols, skits and pre-Christmas mayhem. Three evening performances on the 17, 18 & 19 of November. One matinée performance on Saturday the 19th of November. Check back regularly as the show is still under construction. Check our bookings page too see what seats are available.